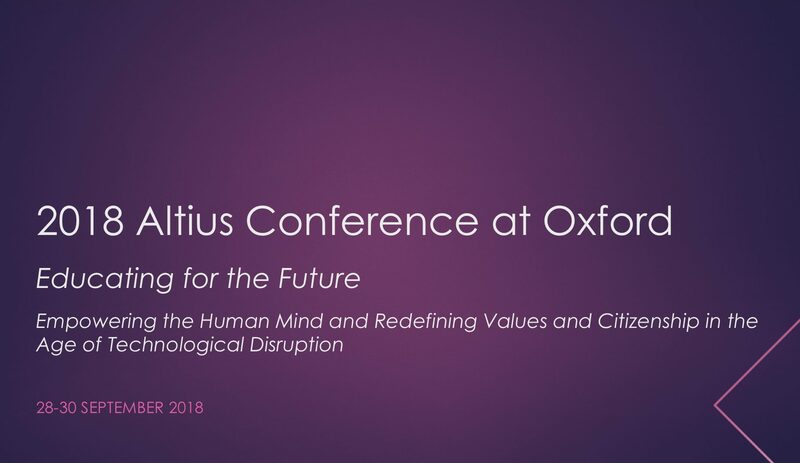 The Altius Society was founded in 2012 with the aim of becoming the global forum where young and senior practitioners, academics, and political leaders gather to discuss the most relevant strategic trends of the 21st century and their impact on the future of our societies and our economies. Its members share a desire and collective ability to understand trends of change in the world, and to contribute to a more effective global governance. ‘The Future of Communication: An Opportunity for Humankind and a Challenge to Democratic Societies’ was our annual Theme for 2017. 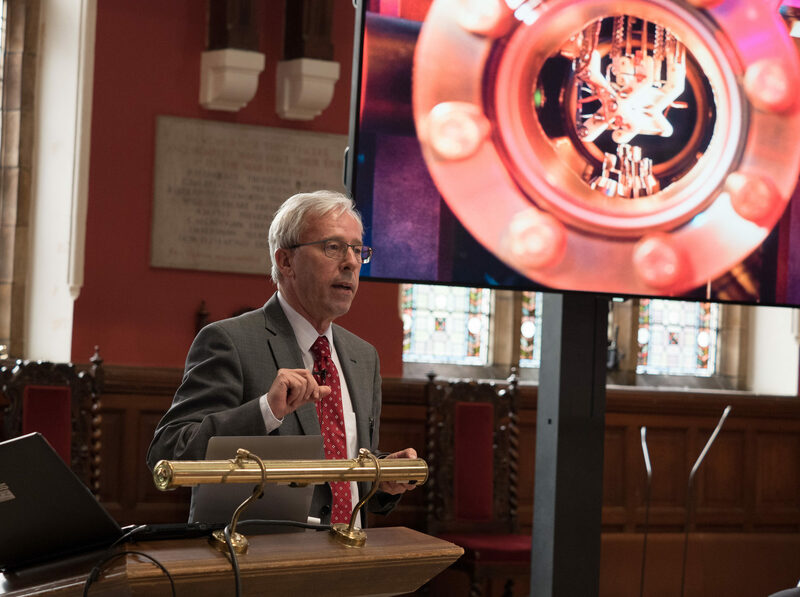 It framed the debates of our IV Annual Conference at Oxford, which took place in September of 2017, at the Debating Chamber of the Oxford Union. 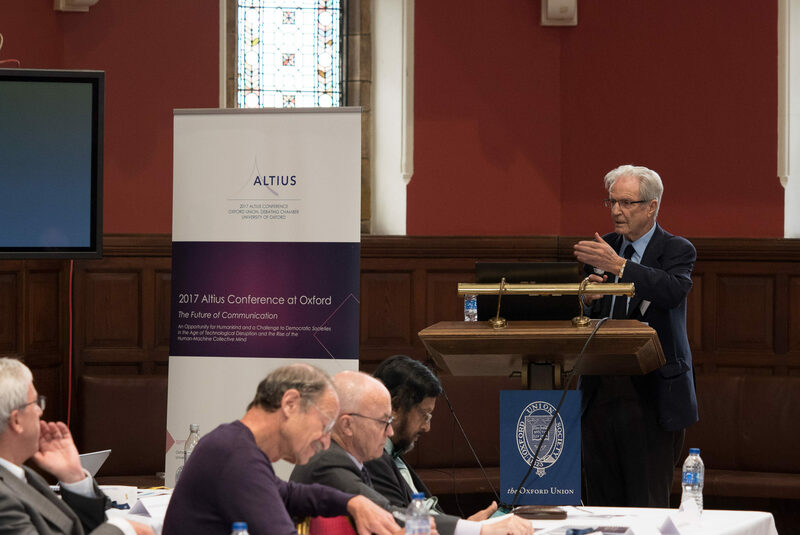 The 2018 Altius Conference, ‘Educating for the Future: Empowering the Human Mind, and Redefining Values and Citizenship in the Age of Technological Disruption‘, took place at Oxford, 28-30 September 2018, inaugurating our 2018-2019 annual theme.